Crowns and Bridges are a commonly used as a restorative technique for one or multiple missing teeth. Crowns are used when a significant portion of the tooth has been lost to decay or fracture. We use all -ceramic crowns and avoid the use of metal that is conventionally used in crowns. Bridges are used to replace missing teeth by using the teeth adjacent to the space or spaces. 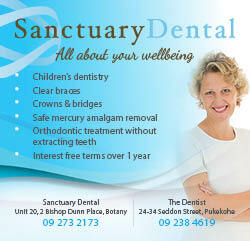 We use ceramic bridges to avoid the use of metal. In the past bridges needed to have a metal core to be strong enough to bridge the gap between the missing teeth. Technology has advanced so that they can now be made of ceramic and are still very strong. The ceramic used is Zirconium Oxide. Restores the function of the tooth by replacing the missing tooth structure. When the underlying tooth structure is sound they have high success rates long term. We guarantee the crowns we place for 5 years, provided we are able to monitor what is happening in your mouth at 6 monthly intervals when you visit our dental hygienist. 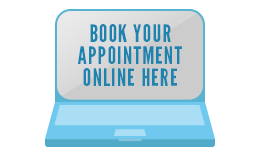 Crowns or partial crowns using the CEREC method are completed in one visit. Crowns require careful oral hygiene to ensure that decay does not start at the joint between the crown and the tooth. Your mouth needs to be healthy. The amount of saliva produced in the mouth, which can be influenced by many medications and changes in the diet that increase carbohydrate, especially sugar, can dramatically increase the risk of decay. Regular visits to the dental hygienist are necessary to ensure good home-care and the health of the tooth and the surrounding gum. Teeth that require crowns are already compromised and there is a risk that the nerve in the tooth will die. The trauma of a life-time may cause the tooth to require removal. Root filling is an option although not always recommended. Root filled teeth that are retained and require posts to restore them are at risk of root fracture. We avoid placing posts whenever possible as a root fracture will often necessitate the removal of the tooth. Bridges replace missing teeth without the need to leave a gap, wear a plate or use an implant(s). Ceramic bridges look very natural. When the underlying tooth structure is sound they have good long-term success. We guarantee the structure of the bridge for normal eating for 10 years provided you return for 6 monthly visits to the dental hygienist so that we can monitor what is happening in your mouth. We cannot guarantee your tooth structure. Like crowns, bridges require careful cleaning. Food can catch under the area of the missing tooth or teeth, the bridge is designed to minimise this as much as possible. Changes to diet (increase in carbohydrates), reduced salivary flow, and medications that affect the saliva, can dramatically increase the risk of decay around the join of the bridge to the tooth. Routine visits are required to ensure adequate home care, the health of the tooth and the surrounding gums. There is risk that the nerve of a tooth supporting the bridge will die. The options then will be to remove the bridge and supporting tooth or root fill the tooth. There are cost implications. People who grind their teeth are at risk of fracturing restored teeth and unrestored teeth. They are advised to wear a bite splint at night to protect the teeth.